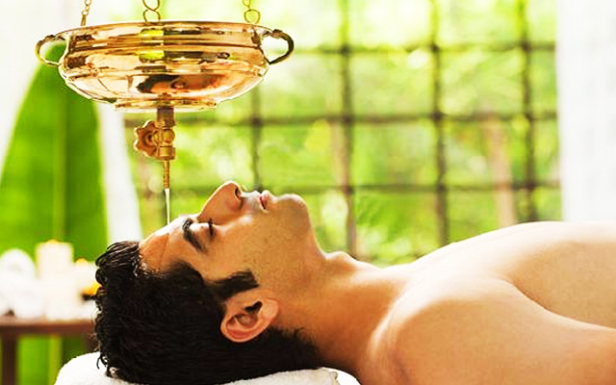 Panchakarma is the classic purification and detoxification treatment in Ayurveda. This therapy is designed to eliminate the toxins accumulated in the body and purify it. Though highly effective and powerful, this exotic therapeutic process is rather simple in its application. This treatment can be administered to both healthy and an ailing person, because it provides both restorative and curative benefits. The Panchakarma treatment procedure speeds up the metabolism, purifies the blood, as well as rejuvenates the body and mind. This is medicated purgation therapy, it is the cleansing of the Pitta and the purification of the blood toxins from the body that are accumulated in the liver and gallbladder, it completely cleanses the gastrointestinal tract. Benefits of Virechana help root out skin diseases, chronic fever, piles, abdominal tumors, worms, gout, jaundice, gastrointestinal problems, constipation, irritable bowel syndrome, diabetes, asthma, headaches, elephantiasis and gynecological disorders. The drugs used for Virechana karma (purgation therapy) vitiate the doshas and bring them into the abdomen. Purgative drugs are dominant in earth and water elements and have downward movement. It defines a detoxification procedure used for eliminating toxins that cause circulatory disorders. This is the detoxification procedure, done through enema using medicines as prescribed by the qualified physicians. vasti nourishes and rebuilds the Dhatus (body tissue), strengthens their function and restores the body’s immunity. Whilst being highly nutritive, this enema helps to remove accumulated malas (toxins) from the colon. Nasya is a therapeutic procedure using medicines that are administered through nostrils systematically that result in great relief for multiple diseases. Nasya not only helps in removing toxins from the head, neck, brain, eyes, ear, nose and throat region and gives immunity to these parts. The procedure of nasya helps in the elimination of spasm in the nose. It also dilates the constricted bronchial tubes and bronchioles, thereby helping in the treatment of dyspnea and asthma. Stress, Tension, Anxiety, Depression, Sleeplessness, migraine, facial palsy, Parkinsonism, poor memory, hearing impairment, tinnitus, vertigo, Alzhimerz disease. Helps to improve concentration.